Silver Peak leading SD-WAN solution eliminates dependency on routers. 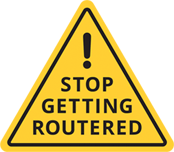 Can Your Router-centric Network Handle the Cloud? That was rhetorical, we already know the answer. Silver Peak Unity EdgeConnectTM is primed for the cloud. 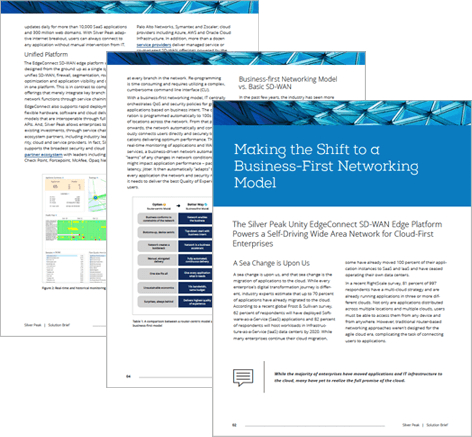 It's the industry's only business-driven SD-WAN edge platform that liberates companies from the compromises of router-centric approaches, turning the network into a business accelerant. Read our solution brief and learn how the EdgeConnect platform powers a self-driving wide area network for cloud-first enterprises. It’s no wonder, it’s the preferred choice for over 1,000 corporations around the world. Download our solution brief today and get connected with EdgeConnect.